Our Topics This Week: Tips to offering Affiliate Marketing Ads in your Podcast? and Tip of the Week “Coming is Mid-Atlantic Podcast Conference in Philly” with co-host Alex Exum @AlexExum and he is based in LA and hosts "The Exum Experience" and the "Spreaker Studio Review" show. - Copyrighted music in your podcast is ALWAYS a BAD idea. No license exists for Downloads, just Streaming on platforms who have TOS and signed royalty agreements with music licensing entities. Let’s Dive into “Tips to offering Affiliate Marketing Ads in your Podcast ” - Start making some revenue from your podcast TODAY. Treat them like a regular sponsor/advertiser on your show, do host reads and display banner ads and text links on your website. - Signing up for an affiliate program and placing links on your website and mentioning them on your podcast is the easiest way to start generating an income from your show. - As a podcaster you have a lot of influence over the purchasing decisions of your audience. This is an important relationship that you have with your listeners and shouldn’t be taken lightly. - If you want to start making money with your podcast, you can sign up for an affiliate program for a product or products that you recommend on your show, in blog posts and in the descriptions of your videos. - Be sure the product or service your are recommending is one you can trust to be great for your audience as they trust you the show host will help remove some of the guesswork out of your audience’s own purchasing decisions. - Save people some money in the process by doing the research for them and finding the best deal for your audience while your the show host makes some money to help support the show. - Your audience must trust your recommendation because they trust the relationship you’ve established together. When you recommend something, your listeners are much more likely to go out and buy that product. - Your audio host read ads must be done very well and authentic and with audience/user testimonials if possible and don't worry about ad duration. Tell a story that is authentic and real. - Affiliate links work best when you are looking out for the best interests of your audience. 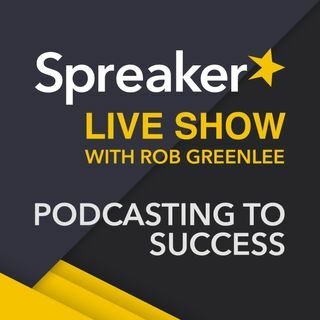 - Make an affiliate focused page on your website that the URL is easy to mention on the show and remember like www.spreaker.com/promocodes or /sponsors. Use the links and promocodes in your show notes and in social media posts. - Percentage rates for different affiliates (how much you get paid). - Do some niches do better than others? – particular segment of listeners convert much better than the rest. - Rules and regulations that need to be followed when using affiliate links. The best practice is to make it clear that the links you are using are affiliate links. - Tracking and inserting affiliate links with WordPress plugins. - The best affiliate programs to get started with. http://Amazon.com is likely the easiest, http://LinkShare.com, Commission Junction - http://cj.com, Joining a Podcast Network can help drive you great CPA campaigns. I gave the subject of copyrighted music some more thought. It may be good that we don't play copyrighted music because it can give podcasting some space to do something radio is not doing. We don't need everything doing the same thing. At least podcast can recognize some music. No copyrighted music huh? Well, if it's never a good idea, radio will have no problems in the future.